If you have read this blog at any length, you know I live with a Frenchman with an overpowering sweettooth. He loves his sweets, and any type of cookie can be his favorite. 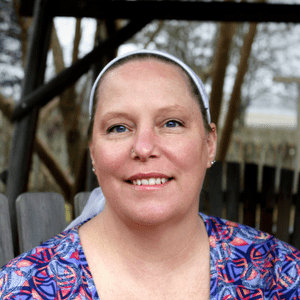 Of course, keeping with keto goals isn’t always easy when you live with a family of sweet lovers. 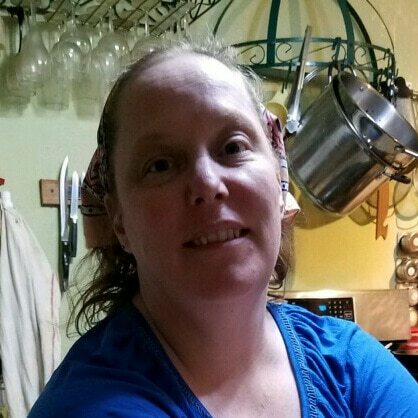 Until I discovered how to make French macarons. The light, cripsy texture on the outside, with a slightly gooey center. And a creamy filling. Don’t forget the creamy filling. Did you know that macaroos are traditionally gluten free? 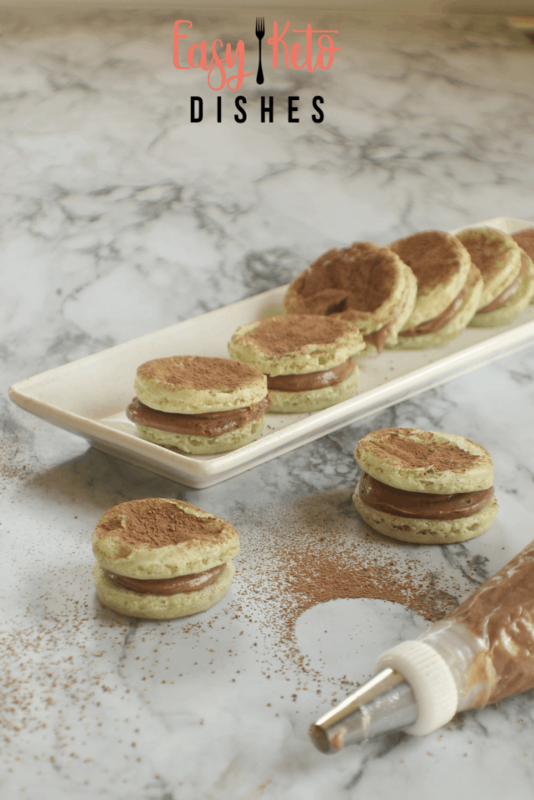 Traditional macarons are made with powdered sugar, almond flour, and egg whites. 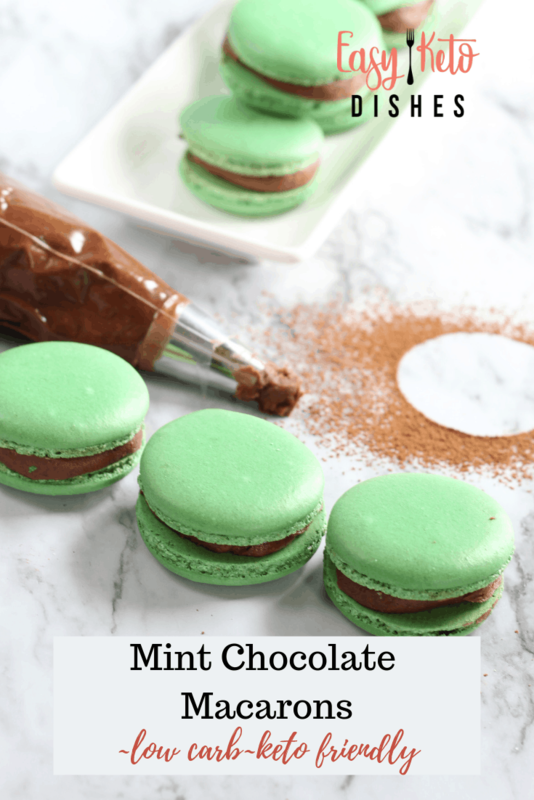 Add in some food coloring, a creamy filling and you have a delicate treat that can take on nearly any flavor you can dream up! Now, you can have your cookie AND eat it too! How, with all that sugar? 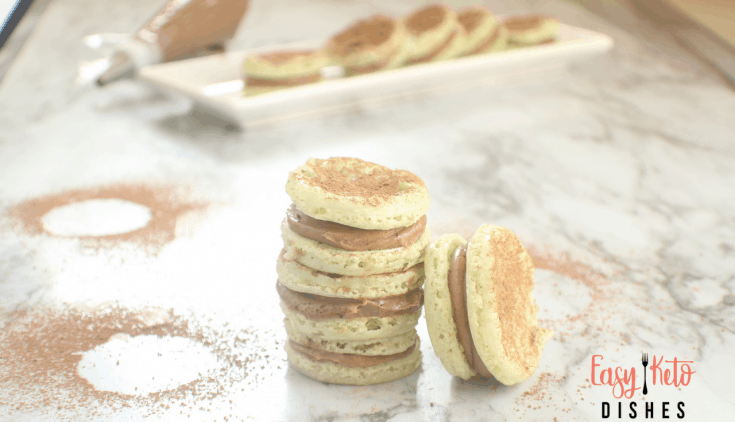 Well, let’s switch up the regular powdered sugar for some powdered erythritol and cut way back on the amount of food coloring and you have a keto friendly, low carb macaron! 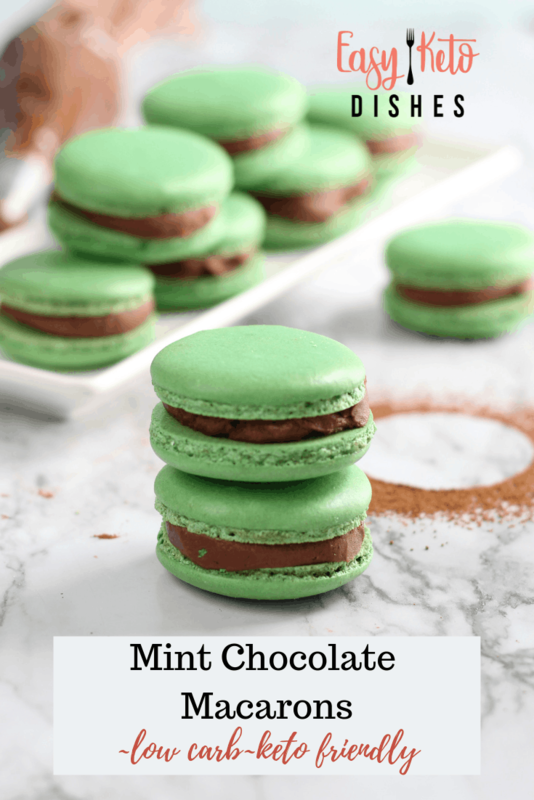 I give you Keto Mint Chocolate French Macarons. 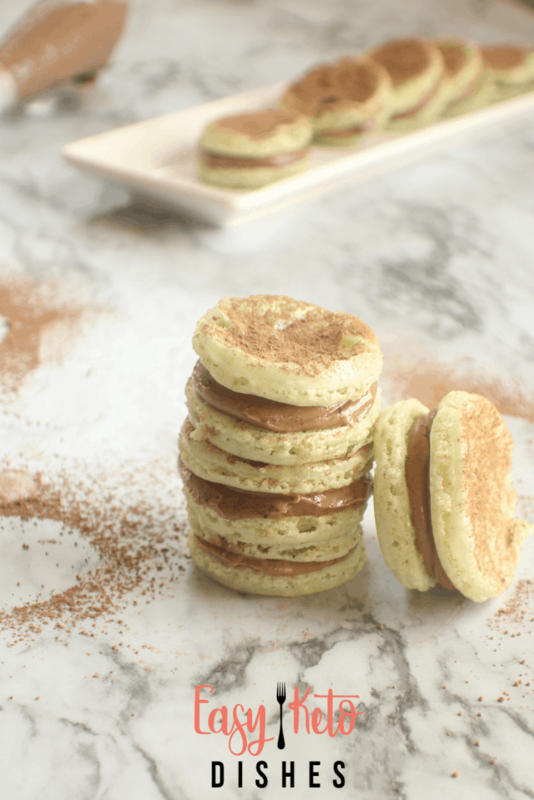 The trick in these cookies is the technique in blending the batter, really. It’s truly an art form that takes a bit of practice to master. The first time I tried these, the cookies didn’t develop quite right, and they were rather nasty to eat. Too soft and gooey, and it’s because the batter was not whipped enough. The other trick is to make sure the almond flour and the powdered erythritol are VERY well blended and there is no chunks whatsoever to overpower the whipped egg whites. That is the hardest part, the patience to sift the flour and sugar blend 2 times to get all the chunks out, but it’s very worth while. Also, letting the cookies dry out on the baking sheet is vital to getting them to set properly. If they are not dry enough, they will not form that crispy outside. You know they are ready when you lightly touch the cookie and it doesn’t stick to your finger. Some also believe that the egg whites won’t whip up as well if they are not room temperature. However, I have had equal success in both room temperature and cold egg whites, so just go for it. Lastly, if at ALL possible, measure your ingredients by weight, not volume. 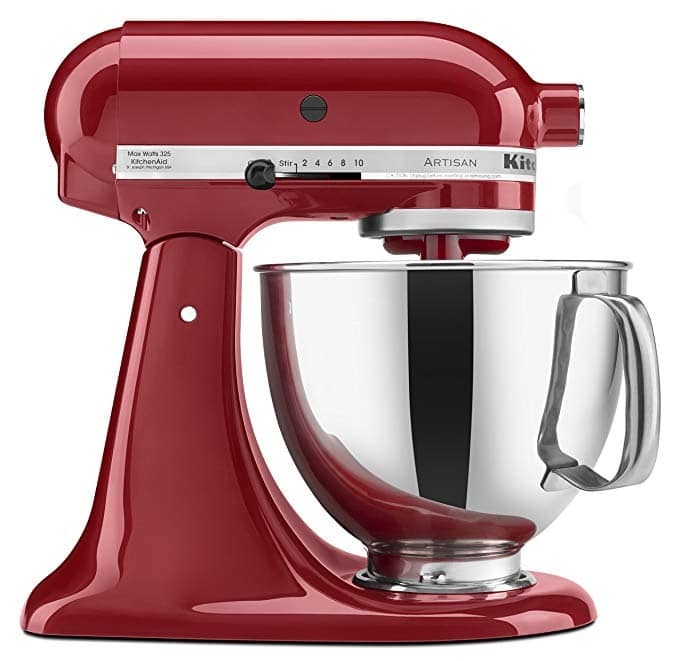 This will give you far more consistent results in your baking. 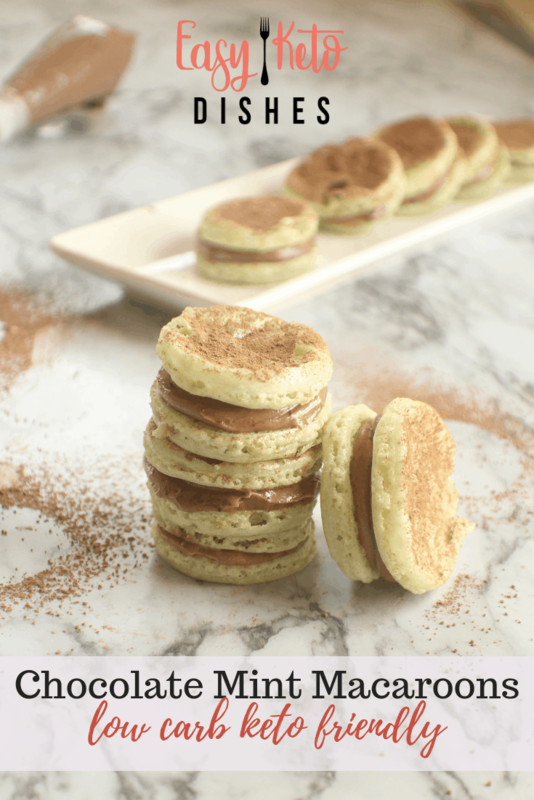 Especially with French keto macarons. 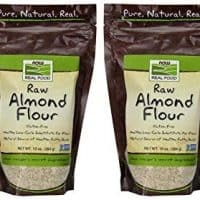 Place almond flour and powdered erythritol in a blender or food processor. Blend together for 2-3 minutes to remove any chunks and make sure they are super fine. Sift through sifter 2 times, removing any leftover chunks and reblending. After the second time, toss any leftover chunks that remain. Set aside. 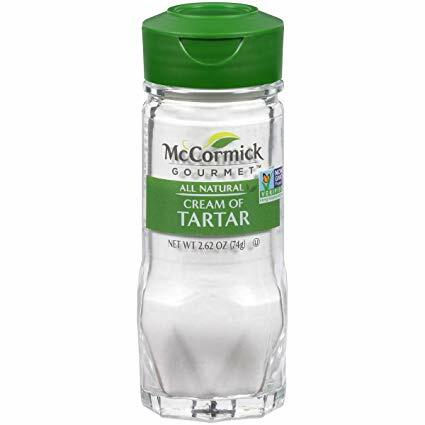 In a medium mixing bowl, add egg whites and cream of tarter. 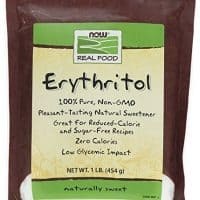 Slowly add the 1/4 cup of powdered erythritol, 1 Tablespoon at a time while mixing on medium high speed. Continue to mix egg whites and sugar until fluffy and stiff peaks form. Add in food coloring and mint extract and whip again for 30 seconds. Preheat the oven to 300 degrees, and place an empty baking sheet on the top rack. This will keep the cookies from overbrowning. Set the baking sheet with the cookies, working with one sheet at a time, on the middle rack. To make the buttercream, in a small sauce pan, beat the yolks and erythritol until smooth and erythritol is dissolved. Heat over low heat, stirring frequently. Add heavy cream an cocoa powder and continue to stir frequently while heating for 5 minutes. Mixture will become thick like pudding. Allow to cool, the place in pastry bag with round tip. What is your favorite treat? 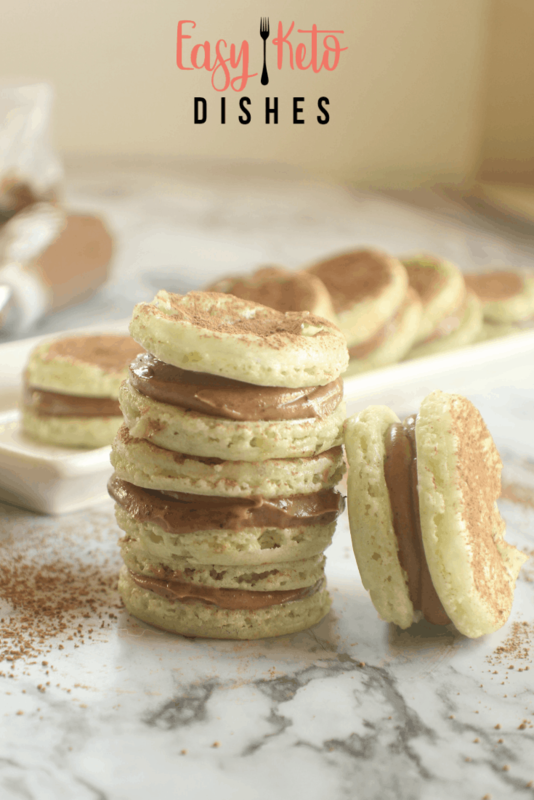 Will you try these keto mint chocolate French macarons? Be sure to let me know if you try and love them! Pour the almond flour and sugar mixture in the egg whites all at once and fold until batter is well combined. This is the technique that makes French macaroons "French", to be honest. Take 1/2 the batter each time, and fold it clockwise in one smooth motion. Fold until the batter is almost pancake batter consistency, about 50 strokes. Although I do my best to make sure these numbers are accurate, please be your own best advocate and double check. Those look gorgeous! I’ve never tried making macarons before, they’ve always been intimidating to me. thanks! I was taught that these were called “macaroons” by the Frenchman, but even HE can be wrong at times! 🙂 thanks for being here! They are so cute! 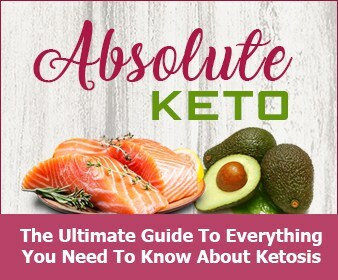 I love all the yummy flavors in there and it’s Keto friendly! I like to use Lakanto sweetener, which is a blend of erythritol and monk fruit extract; 1:1 sweetener. 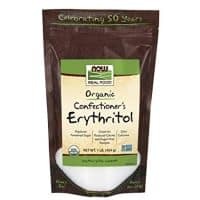 I just don’t like the taste of all erythritol. Thoughts? I tried this recipe twice and didn’t manage them. The first time I had trouble with the extract deflating the meringue. The second time I tried without the extract and the batter seemed just right. Both times they looked right going in the oven, but the batter spread out and flattened while baking. I wish you had a video of making these! They look so good, and I would love to get them right! can you please be more specific about what amounts of sugar substitute you are putting in at which time? I followed the directions down the line for the macarons and hope this was the correct way. Thanks. I, too, have tried these twice and cannot get them to turn out. They deflate & don’t turn out at all like your picture 🙁 I let them dry for over an hour the second time, still made no difference in the outcome. I find that the meringue doesn’t get to stiff peak form like macarons with sugar. I’m sure this is the problem, but not sure how to fix it. I tried making these, without much success. First time, I tried leaving them in the oven until “They are done when they lift easily from the baking sheet without tearing”. 35 minutes later they still weren’t at that point and were turning brown, so I took them out. They deflated and by the time they were cool, they were flat and crunchy. Second batch, looked a bit better going onto the baking pan (first batch were maybe a little runny, 2nd were much fluffier) and I left them in for only 22 minutes. They weren’t at the “lift easily without tearing” stage either but I took them out early. Again, deflated and while not as crunchy as the first batch, definitely not light and fluffy and macaron-like. Do I need to take them out even SOONER? Or is there something else I might be doing wrong? I had no trouble getting the meringue to “stiff peak”. I wish I could say for sure, I am really sorry that you had issues! One thing that I have noticed over all the times I have made macarons, is that they are very finicky. Like, if the humidity is 1% too high, they won’t work. If the merigune is at a stiff peak, it COULD be underwhipping of the batter when mixing together. You want to make sure it is just at the ribbon stage, where the batter will fall into ribbon shapes when you lift it from the bowl on a spoon. I’ll try and get some new pics asap to show that to be more helpful. This was my first time trying to make macarons. I made an unfortunate discovery. Not all flavorings are created equal. I only had an oil based mint flavoring and, as it turns out, it made the flavor too strong and my cookies flat. 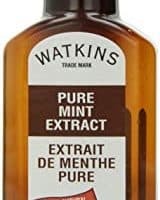 I will try it again soon with actual extract. I have been trying to perfect a sugar free version for about a year and have found it difficult to produce a macaron closlely aligned with the full traditional cookie. 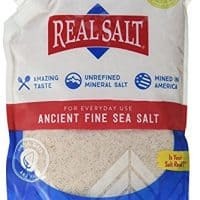 I have been able to create a low carb/low sugar version. The problem I find is that the sugar substitues draw and maintain moisture and these cookies need to be as dry as possible. I use the Italian method and not the French method. So I was hoping you could share the trick you used to get your recipe to produce feet.